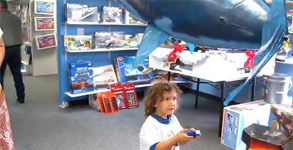 Child Operating an Air Swimmer Shark Description: Here’s a video of a child operating an Air Swimmer Shark without a problem. With a little bit of practice, the kid could probably beat me in a race in no time. 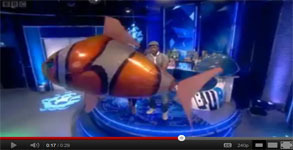 The Air Swimmer Clownfish appears on the Blue Peter Show. 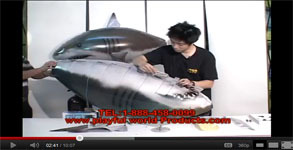 This is a clip of Blue Peter promoting the air swimmer clownfish product. 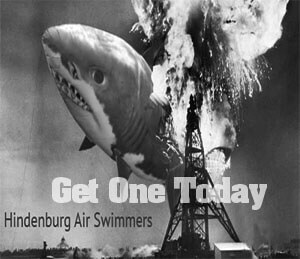 Let’s expand the community guys! 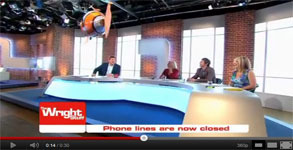 The Air Swimmer Clownfish is spotted flying around the set on the Wright Stuff Show. 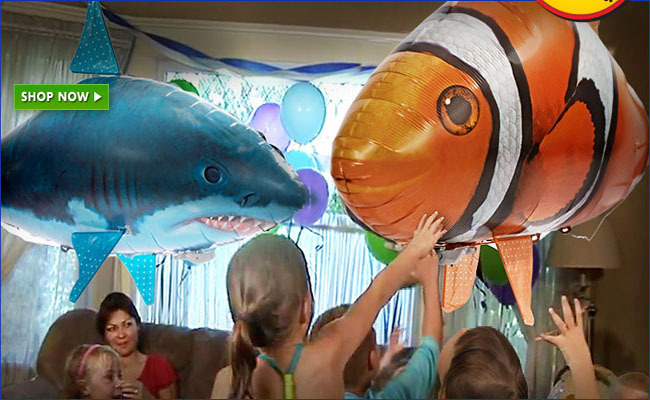 The clownfish is getting popular by the minute! It’s only a matter of time until the whole world knows about it.